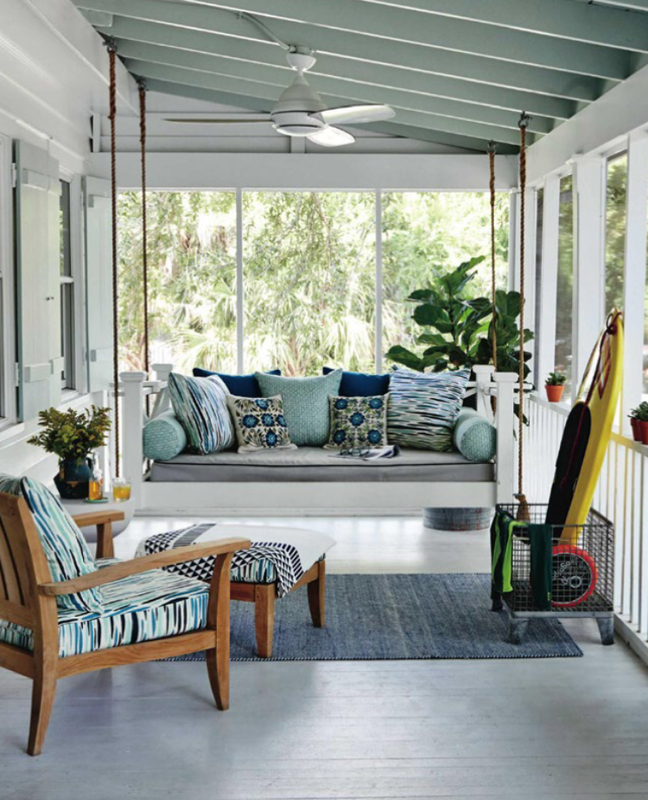 We have another feature in this month’s HGTV Magazine! 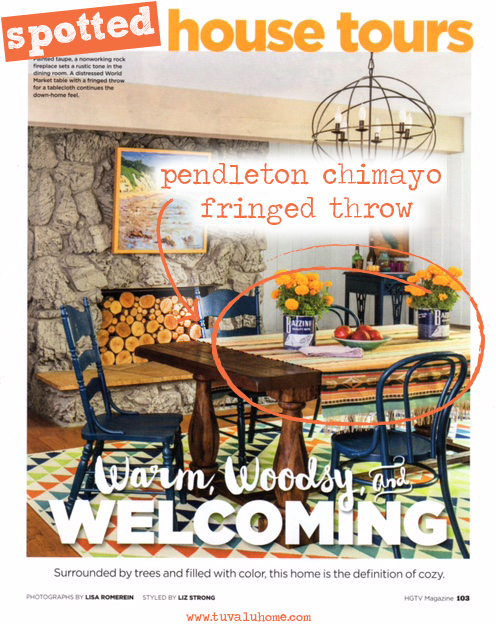 The Pendleton Chimayo Fringed Throw is feature in a dining room in the November issue. The designer choose to use the Pendleton throw as a tablecloth on the dining table and challenge the typical idea that you have to use a standard tablecloth. Check out what we’re talking about above! If you are interested in picking up the Pendleton Chimayo Fringed Throw you can find it here! This week our Tuva-Luv comes from Allison! 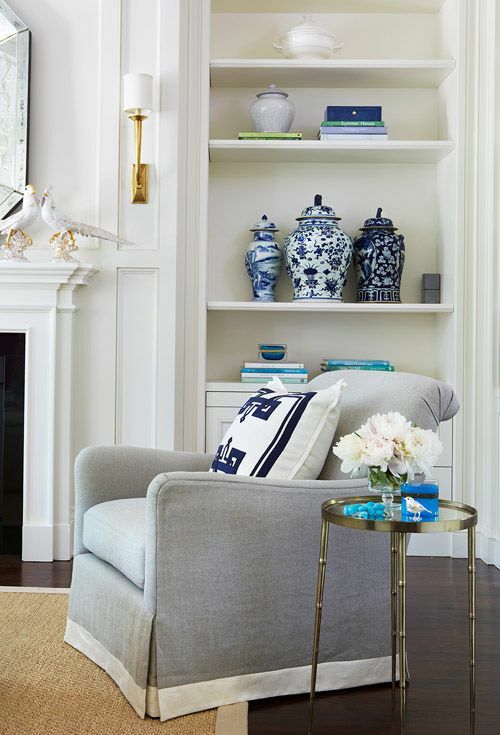 We’re spotlighting the la marina blue glazed table lamp from Allison’s favorites! 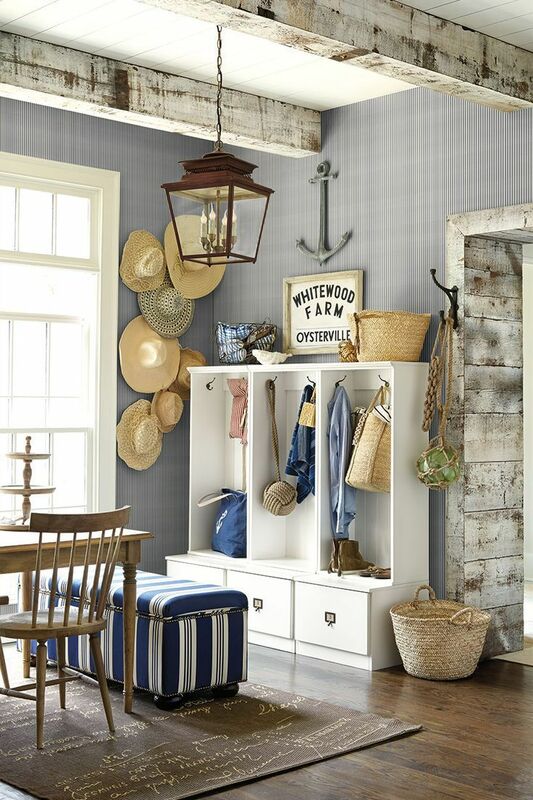 This lamp is great for the living room or bedroom and brings coastal style to the space. It’s a perfect fit for that side table next to the sofa or your night stand in the bedroom. A little decor and light goes a long way! Take a look at the la marina blue glazed table lamp here! 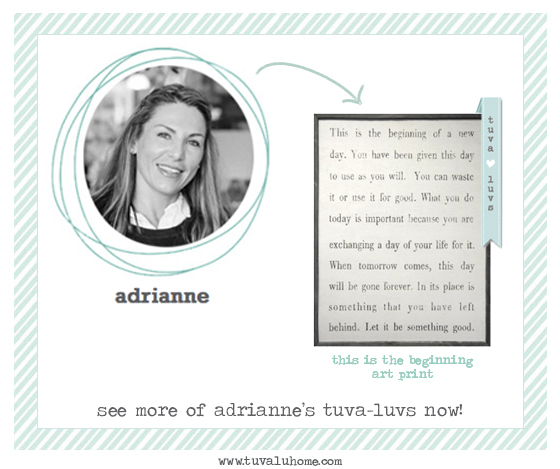 And don’t forget to head on over to Allison’s Tuva-Luvs to see more of her store favorites! Bronze side tables are great pieces to add to a coastal living room. 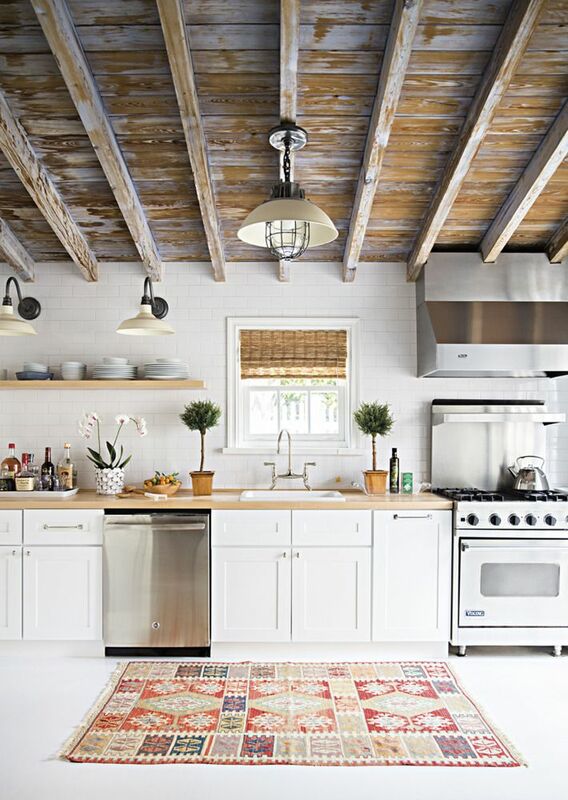 They bring a good mix of of style and texture to the space. With a vintage, antique look the side tables bring another layer of design to the decor. It’s soft, metal hue is easy to work into most color palettes too. 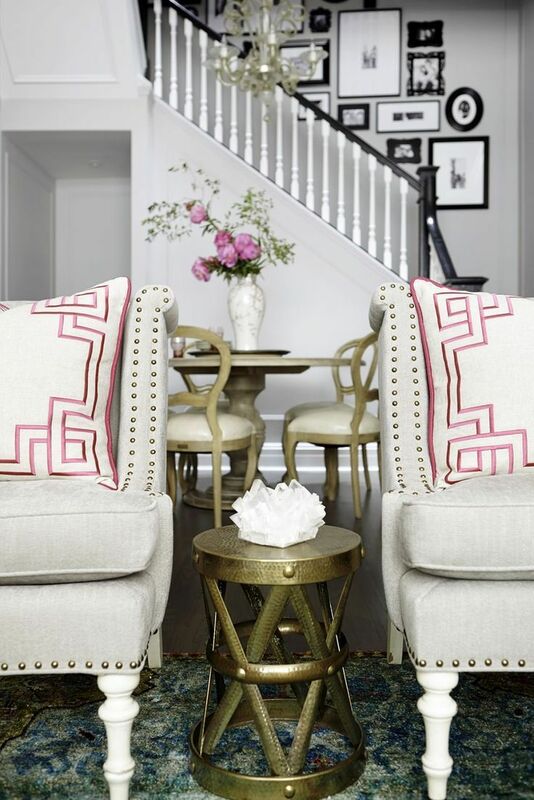 Check out what these designers have done in coastal living rooms with bronze side tables. 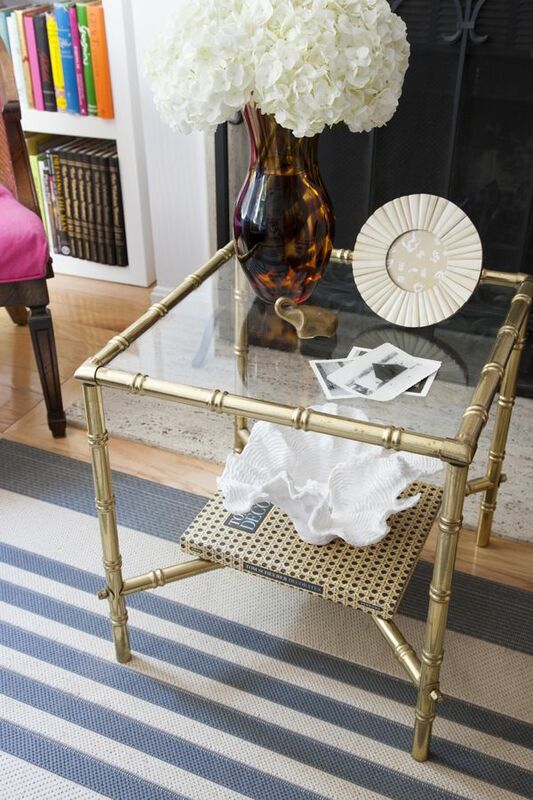 Get inspired and see what a bronze side table could do in your home! 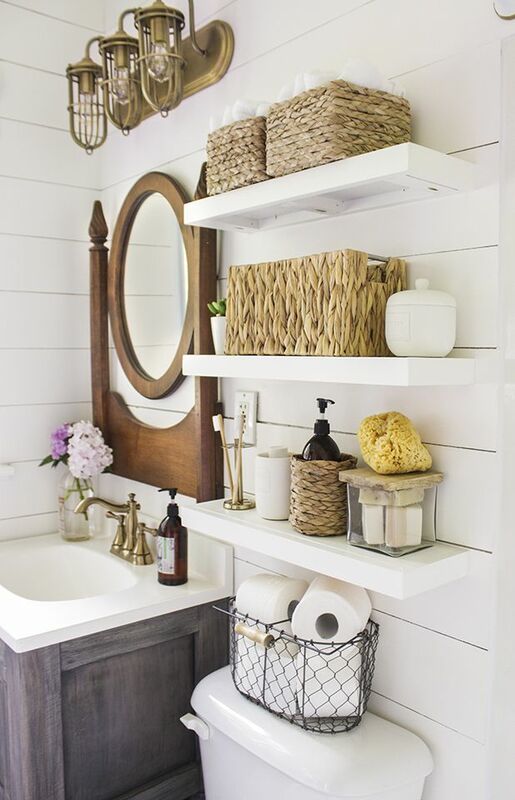 A great way to simplify and free up space in the bathroom is to open up the storage space. 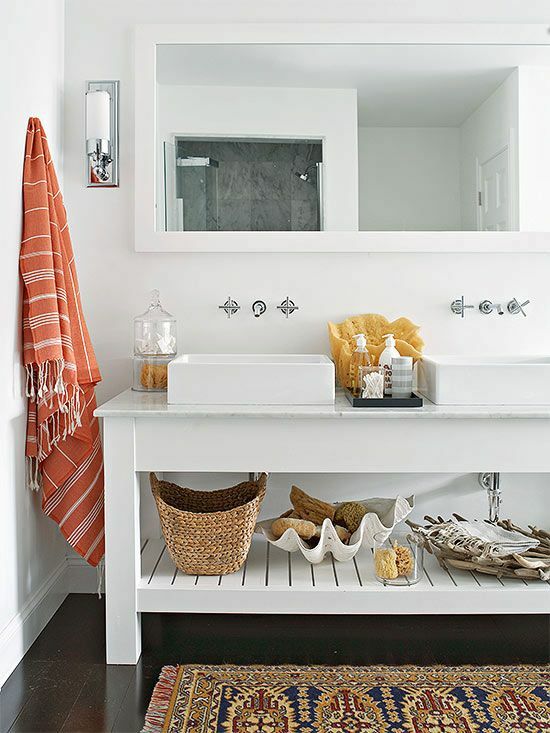 This way you can prevent yourself from stuffing the drawers and creating clutter in the bathroom. 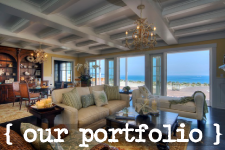 With storage out in the open, it’s easy to see what should stay and what should go. Open storage underneath the sink provides a look and feel of openness in the small space. 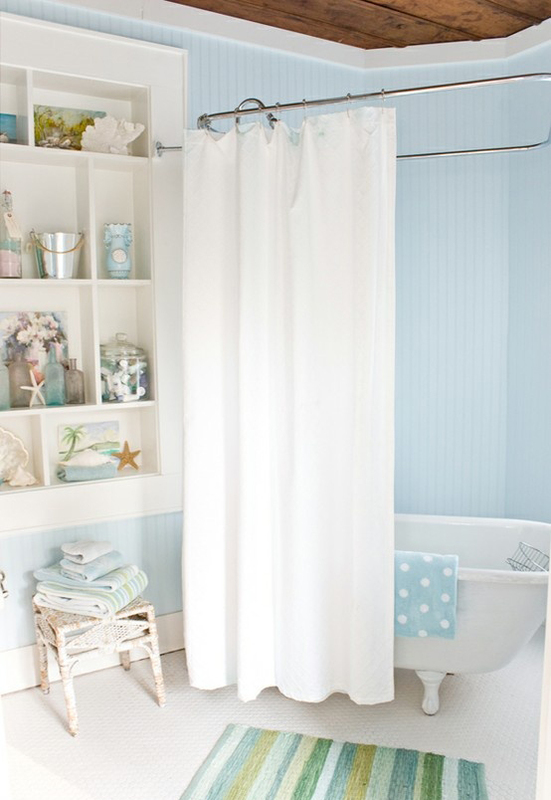 We gathered a few images to give you an idea of how a bathroom with open storage can look. 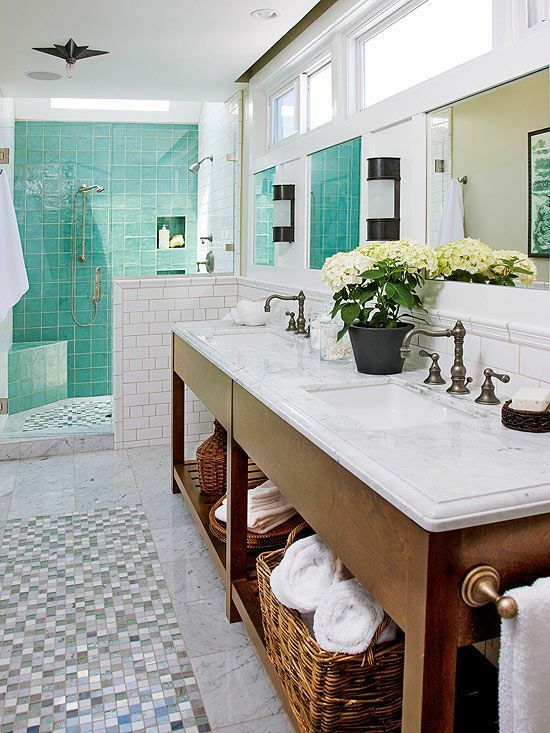 Scroll down to get inspired to simplify your bathroom and create a clean, minimal look! 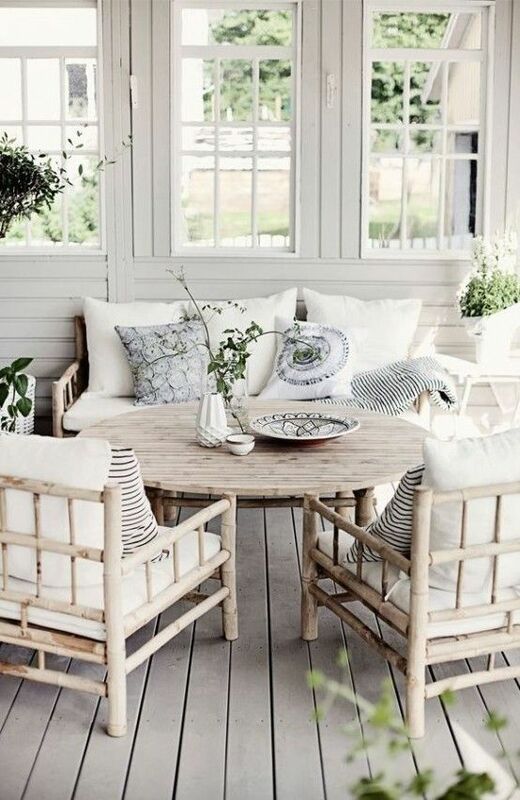 This Monday Pins post we’re all about beach cottage decor! 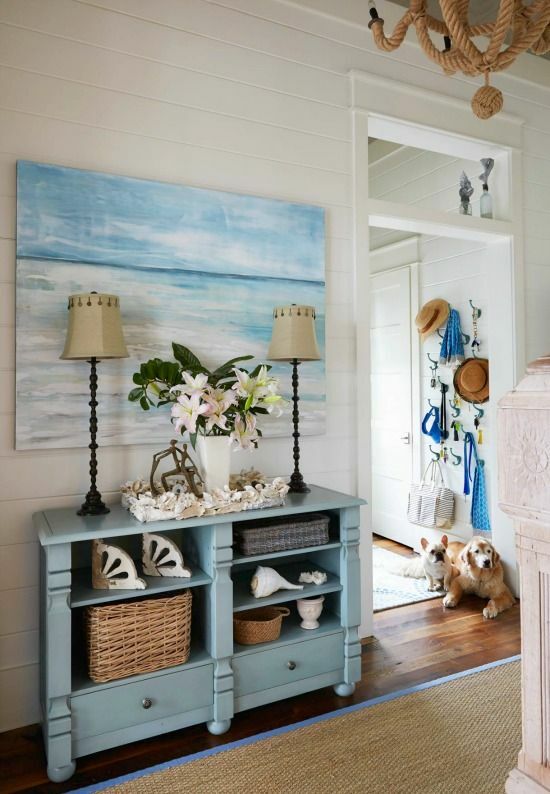 This ocean-inspired style is a great way to feel like your at the beach while still in the comfort of your home. 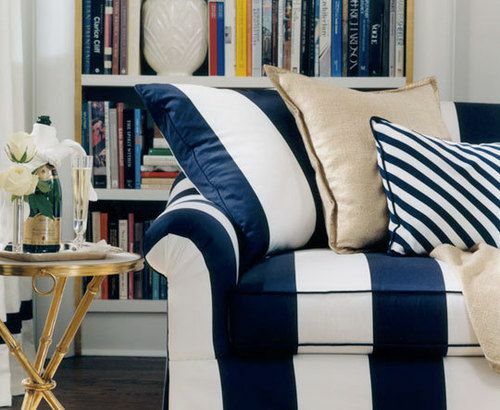 This style creates a great platform that can mix classic, traditional pieces with more modern ones to give it a fun decor blend. 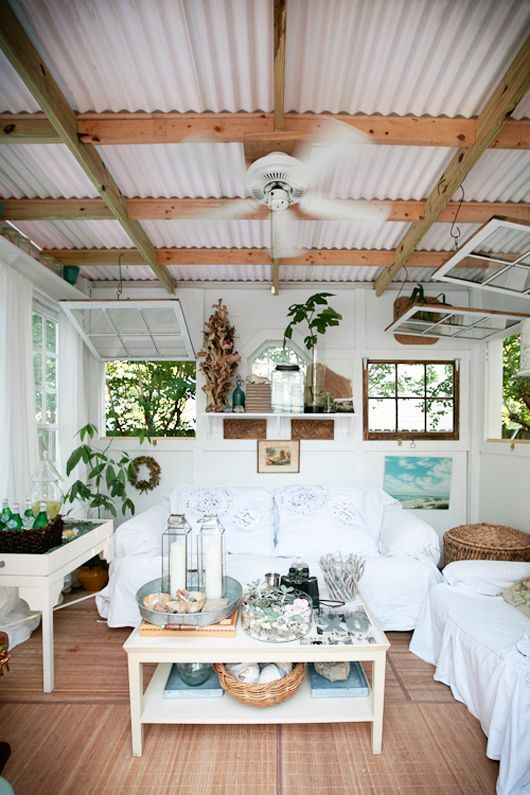 Get in the cottage spirit and ready those pin buttons because here’s five beach cottage photos that are perfect for your Pinterest boards! Start pinning away and enjoy the week ahead! 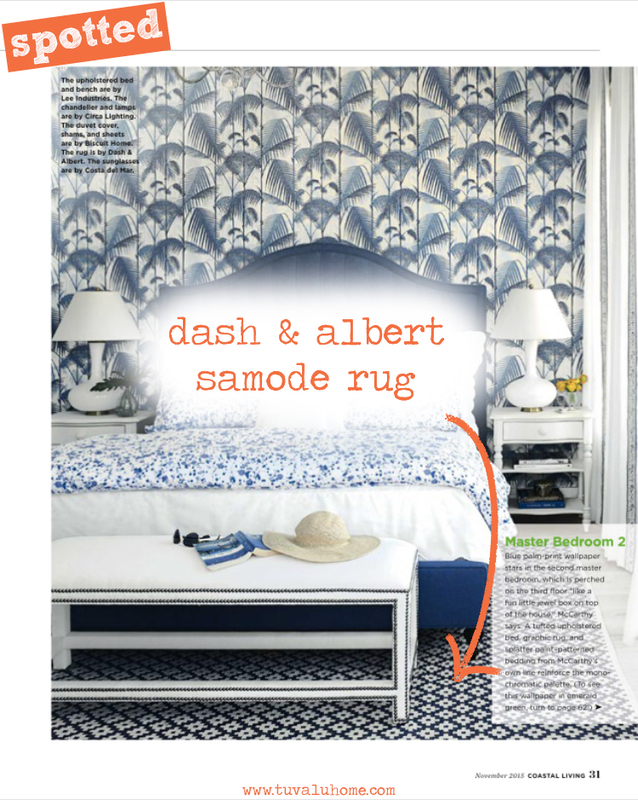 Look what we spotted in HGTV Magazine! 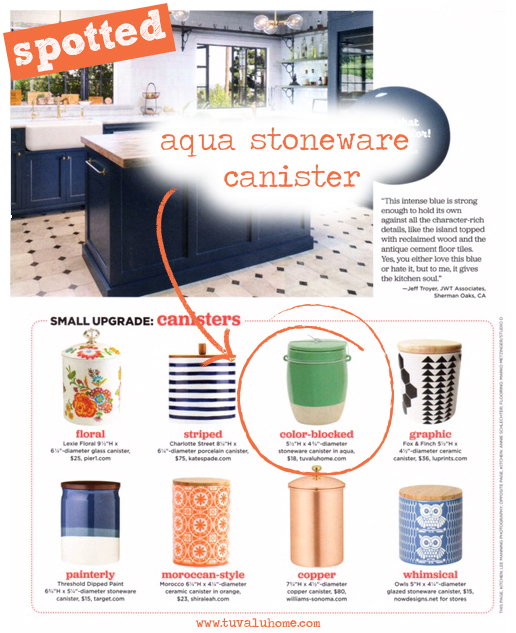 The Aqua Stoneware Canister! In their November issue they look into kitchen style and feature the Aqua Stoneware Canister as a recommendation for the small canisters! This canister is a cute addition to any kitchen that offers a pop of color and some functional storage space perfect for snacks! Shop the Aqua Stoneware Canister on our online store here! 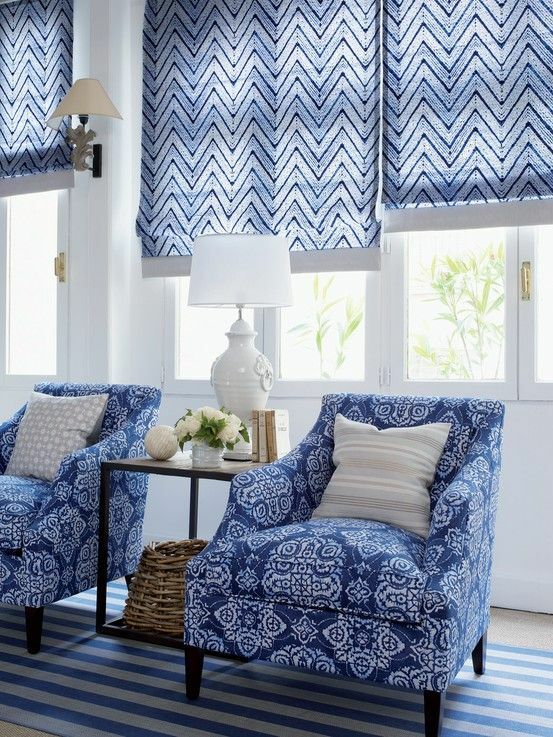 Vibrant patterns are a great way to spice things up and bring some flare to any space! You can mix and match to get an unlimited amount of fun and stylish combinations. Use can also play patterns off of one another. 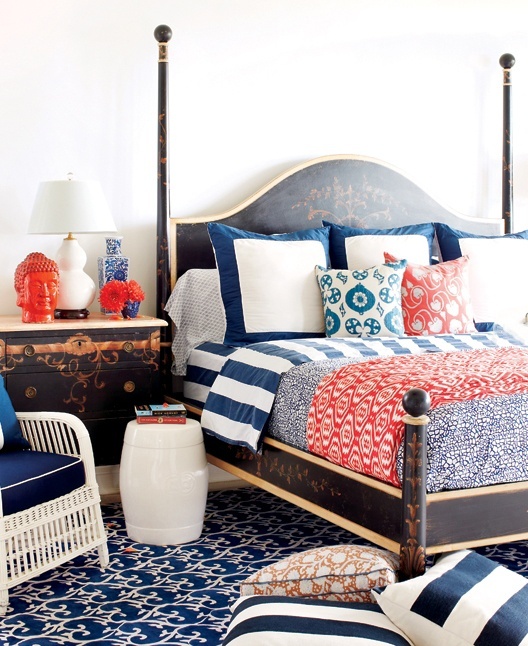 Pair a floral and a geometric shape pattern to offset one another and mix things up! 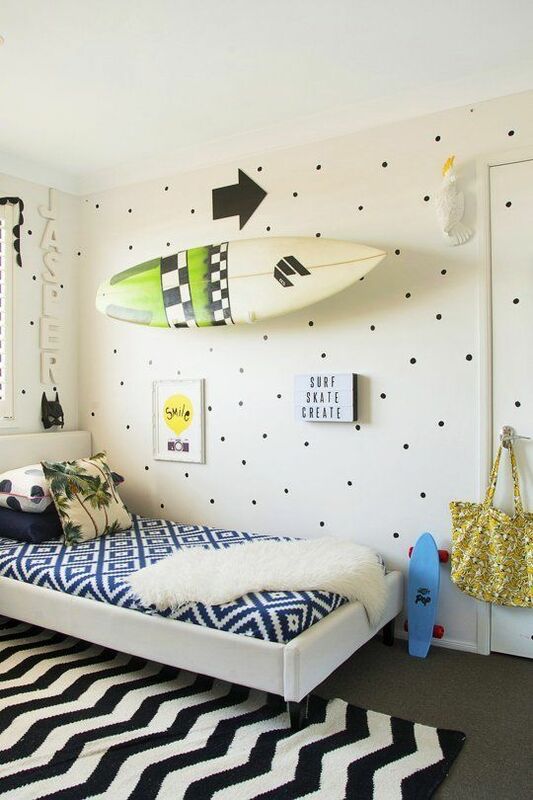 Check out what designers have done with patterns and get creative! 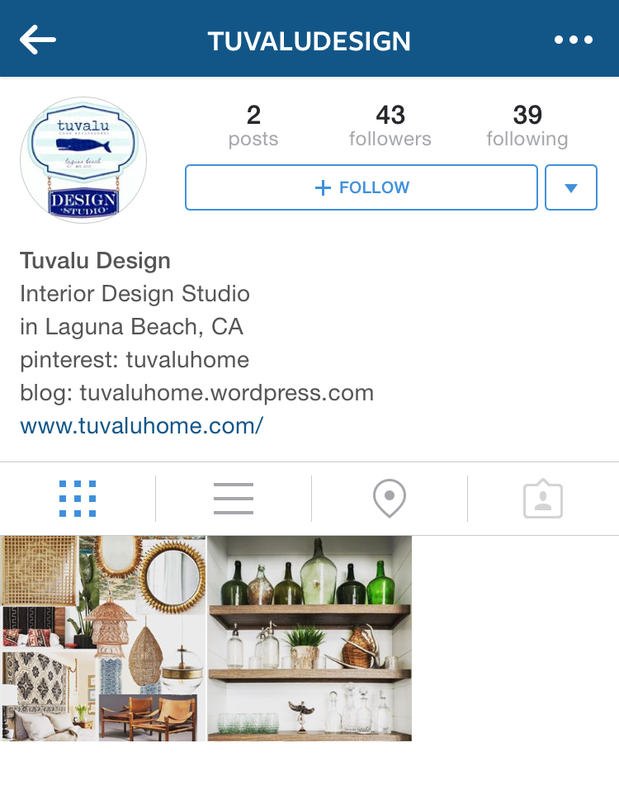 Follow the Tuvalu Design Studio on Instagram! We’ll be posting pictures of our design projects, inspirations, creative design tools and everything else Tuvalu Design related. We look forward to showing you guys the design side of Tuvalu Home! It’s what we live for! If you’re on Instagram find us and follow us @TuvaluDesign! We’ve got a quick link to our page here!